Camp Aurora is Manitoba’s only LGBT2SQ+ youth summer camp and has now been running for ten years! Forty-eight campers aged 14-19, twelve Cabin Leaders, and a team of volunteers and staff spend several days at Variety's Camp Brereton in the beautiful Whiteshell Provincial Park, thanks to Variety, the Children’s Charity of Manitoba. Camp Aurora offers the typical summer camp experience of outdoor activities, such as swimming, canoeing, and campfires, as well as identity-affirming, community building workshops in a positive and supportive environment. The talent show and dance are always highlights of Camp! Camp Aurora is committed to providing a positive space for LGBT2SQ+ and allied youth to explore identity, make meaningful connections, and feel a sense of belonging. Our hope is that you will meet some new friends, try some new things, learn about yourself and your community, and have fun along the way! Camp dates for 2018 are August 26th to August 29th. Camper registration is now open! Click on the link below to download a registration form! 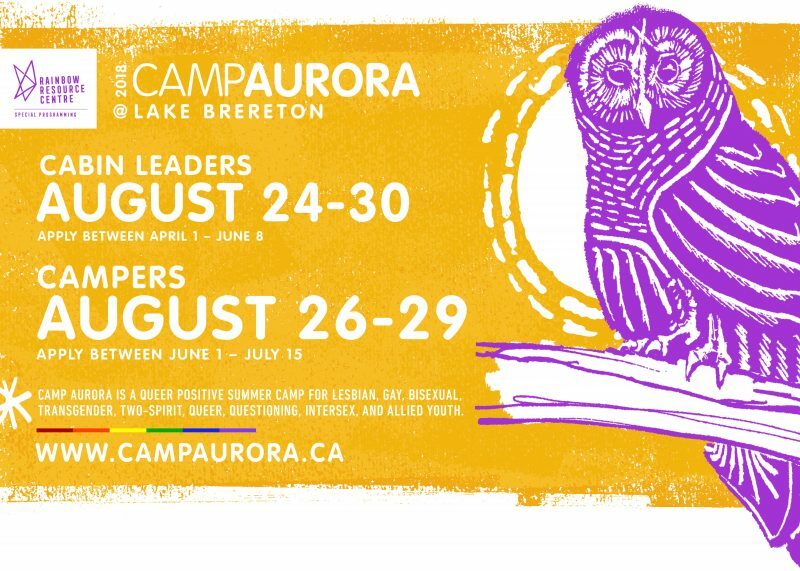 Find out more about camp at the Camp Aurora website!